Congratulations this week to Pat O’ Connor on a great performance in Amsterdam a great result, and Ruairi has the details below for you so I won’t spoil the surprise! Great stuff Pat! 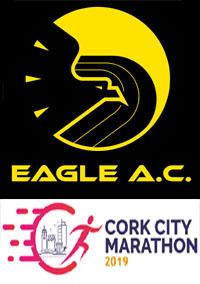 The very best of luck to all our fantastic Eagle AC runners heading to the Dublin city marathon this Sunday! The long training plans have come to an end and it’s time to put all of those plans into action and make to most of your time on the roads of Dublin, we hope everyone has a great day out and you reach your planned targets. After the marathon I think the general consensus is to head Doheny Nessbit’s, 5 Baggot Street Lower Dublin 2, to catch up with club members and review the highs and lows of the day. As with any marathon training plan I know there are some Eagle AC runners who will not reach the start line in the shape that they had hoped for, and some that will not be able to run the marathon this year, this is always very disappointing. I guess the thing to remember is that recovery from injury is priority number 1, and there will always be another marathon or race on the horizon. We wish you a speedy recovery, stay positive stay strong. 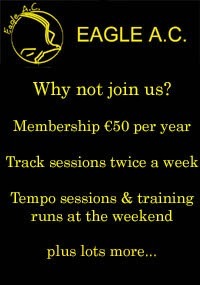 Best of luck to all club members in all runs races you are undertaking this weekend. 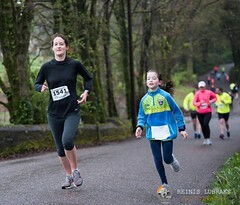 Fiona O Riordan is on the look-out for a Waterford Half Marathon entry if anyone has one available. There is a facility to transfer entries up until the 28th November. 3 members names were spotted in the results of this 5k. No clubs were listed. If I’ve missed anyone please let me know and I’ll add them in next week. A bit further a field well done to Andrew who completed a park run last weekend in Washington USA, over what it seems was a beautiful but challenging and uneven course over a variety of pathways and planking through wetlands. Many thanks to Andrew for letting us know! 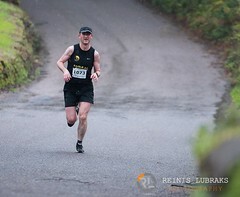 Congratulations to Pat O’Connor who completed his 5th marathon in 18 months in Amsterdam last Sunday. Pat broke 02:50 for the 2nd time in a year and was just a few seconds off a PB, finishing an impressive 7th out of 1091 runners in his age category as well, well done Pat. 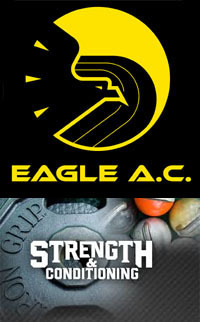 We would like to wish another great Eagle AC runner the best of luck this week. Pat O’Connor is heading to Amsterdam to run in the Amsterdam Marathon, hope all goes to plan Pat we are all wishing you well. I’m not sure if any other club members are heading that direction too but if you are good luck and enjoy the experience. Hope the Dublin Marathon crew are resting up now and saving those hard miles for the final run home in about 9 days time! Hope to see some of you at the coffee run this weekend where race plans strategies, nutrition, taper tantrums, possible and probable injuries, what to do/not to do… and of course post race celebrations can be chatted about at length! There are a few more messages bits of Information below. New on the web store this week are Ron Hill running jackets. Ladies men’s in yellow and also men’s in black. Also new is a track top for €28. Don’t forget our discount code “EAGLE10” for 10% off. Route: Following the cork city half marathon route; starting from Turners Cross and finishing via North Main Street to Sullivan’s Quay, up Summer Hill, through Turners Cross and along the Curragh Road back to Costa. Well done to all Eagle members who took part in this rescheduled 5 miler on Sunday morning. See below for those Eagle members spotted in the category prizes! Congratulations to club member AnneMarie power on a fantastic performance at the World Ironman Championships in Hawaii last Saturday. I know we don’t usually report on club members in Ironman competitions but this is exceptional and AnneMarie’s performance on the day was nothing less than exceptional too. The Course involves a 2.4 mile open water swim, a 112 mile bike race and finished off by a marathon, in total a 140.6 mile journey. 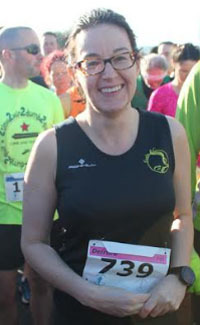 Total time in action for AnneMarie was 11 hrs 18 minutes and 9 seconds. Well done to AnneMarie on an amazing accomplishment. 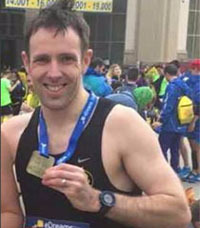 We have to begin by congratulating Mark Smith this week on the completion of the Chicago Marathon last weekend, just 3 weeks after the Berlin Marathon. This was a fantastic achievement for Mark not only finishing in a superb time with two marathons so close together, but also the completion of all 6 of the Abbott World Marathon Majors. Brilliant stuff Mark more on this below. 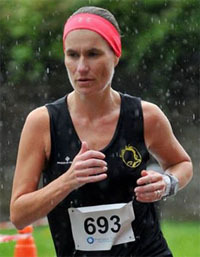 Secondly and another World Championships event we wish the very best of luck to club member Annemarie Power who is taking part in the Ironman World Championships in Hawaii this weekend, Saturday 13th October. 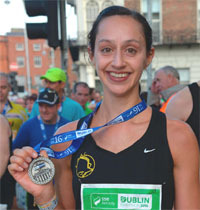 AnneMarie is an inspirational athlete and we wish her all the very best for Saturday. I’m sure that all of those hours of training will pay dividends on the day, we are all supporting you and hoping that everything goes to plan! 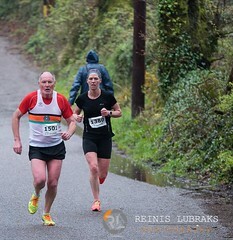 Things are definitely quieting down on the local races but well done to Derek O’Keeffe who managed to seek out and win one near Mitchelstown last Saturday. Finally, as is almost a tradition by now, we will hold a coffee run the on Saturday the 20th October the weekend before the Dublin Marathon. 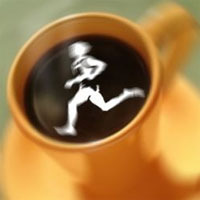 This is social run at a conversational pace and suited to all club members groups will form with various paces on the morning, and if for any reason you cannot run but would like to join for the coffee after that would be great too. More on this below. Take care and hope storm Callum doesn’t cause too much disruption tonight! New on the web store this week are Ron Hill running jackets. Ladies men’s in yellow and also men’s in black. Also new is a track top for €28. 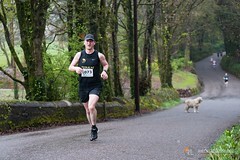 Congrats to Derek who won this 6k race near Mitchelstown last Saturday! 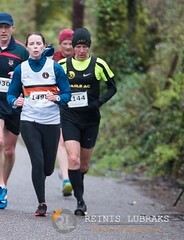 Well done to Olga was third woman home at Ballincollig parkrun last Saturday. Club member Mark Smith ran the Chicago Marathon last Sunday in a fantastic time of 2:34:21. Mark finished 122nd male, 8th in his age group and 131st overall. This Marathon also makes Mark a Six Star Finisher completing all 6 of the Abbott World Marathon Majors, which is something that many of us dream of but very few actually achieve, from my (brief!) research i can see only 22 Irish names on that list. So our heartfelt congratulations to Mark on such a fantastic achievement, and of course we will be chasing you down now for a report on your experience of the six, London, New York, Tokyo, Boston, Berlin and Chicago. Hope you are enjoying a well earned rest Mark. Hope the week is going well for everyone. Well done to the Eagle members who ran Cork to Cobh last weekend, a large turn out from the club and a beautiful day for it, thanks to Ruairi for pulling the results below, and to Derek, Joe Anne and John Desmond for all the photos! Cross Country kicks off this weekend best of luck to anyone who is taking on the first event! Plenty more events to come over the next few weeks too, so if you are tempted to try something new or perhaps you’re a seasoned pro at the cross country, why not sign up and give it a go. 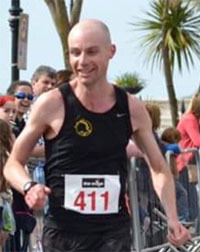 Good luck to Mark Smith heading to Chicago tomorrow; wishing you a safe trip and the all the best for the Marathon. The final countdown is on to Dublin as well with 3 weeks to go; one final week to get through and you can look forward to the taper, best of luck with the final preparations, the big day is getting closer! 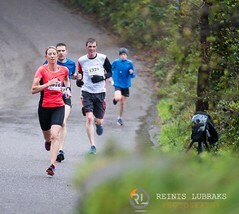 Well done to Sandra who was 2nd lady home on Saturday morning! 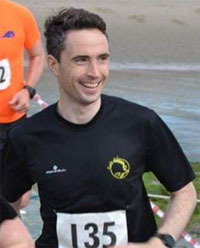 Well done too to Joe Murphy who ran his 50th Parkrun last weekend! 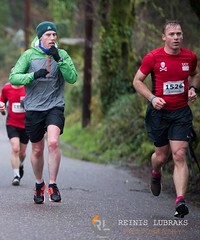 We don’t usually list finishers in BHAA races as people aren’t representing Eagle in these events but Cork to Cobh is so popular with members, I have (hopefully) listed everyone who took part last Sunday. 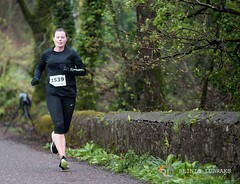 Well done to all who completed the 15 miler, whether racing it or using it as a training run/pace tester before Dublin. Age category prize winners are highlighted among the full listings below. Thanks very much to Derek for putting the photos together – lots of photos this week. Coffee Run Weekend of the 20th/ 21st of October.